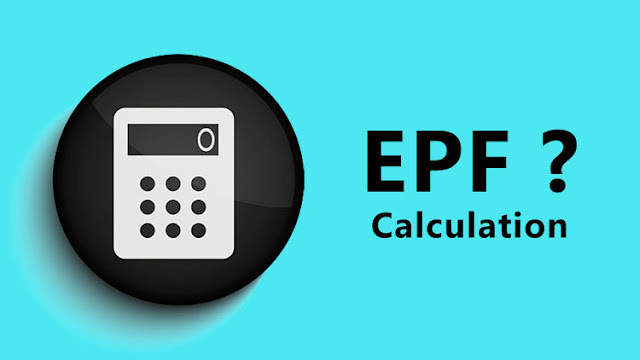 EPF Interest Rate | Balance Calculation | Calculator | PF Contribution | February 2019 – Get every deep detail about EPF Interest rate & how EPF contribution will be considered. There are many people and members under EPF who wants to know how EPF balance calculate using interest rate, Example of EPF Calculation, Division of EPF Contribution and much more. Here on EPFOSCHEME.IN we will cover the whole process of EPF Interest rate. EPFO Interest Rate February 2019 – The government has given a big gift to the employees by increasing the interest rate on the provident fund. The Employees Provident Fund Organization (EPFO) has announced the rate of interest on the EPF to 8.65%. For the first time in three years, interest on EPF has been increased. The EPFO has decided to provide interest at the rate of 8.65 % annual rate on the provident fund deposits for the financial year 2018-19. The interest rate was 8.55 % in the previous financial year. Gangwar said that this decision would benefit more than 60 million shareholders of the EPFO. During the financial year 2013-14 (April to March), the interest on PF was 8.75 per cent. At the same time, the interest rate on PF was 8.50 per cent in 2011-12, compared to 8.25 per cent in 2011-12. Earlier, in 2009-10 and 2010-11, the working people got 8.50% interest rate. In FY 2014-15 (April-March), interest on PF was 8.75 per cent. It increased to 8.80% in 2015-16. This is the highest interest rate on the PF during the Modi government’s tenure. After that, the rate has come down to 8.65 per cent in 2016-17. While in 2017-18, the people got a rate of 8.55% on PF. At the same time, the new rate on this fund has again become 8.65 per cent. The important thing is that for the first time in three years, interest on EPF has been increased. However, according to the signals given by the government, according to EPFO’s income estimates, the interest rate on EPF would be increased to 8.70 per cent, resulting in a loss of Rs 158 crore. Before the Lok Sabha elections, the Modi government’s decision will benefit 60 million people. However, the proposal is now forwarded to the Finance Ministry. After getting permission from the Finance Ministry, interest is put into the user’s account. UPDATE – The Employees Provident Fund Organization (EPFO) has reduced the interest rates on deposits to 8.55 percent for the year 2017-18. The rate of reduction in interest rate will be directly impacted by people who are employed. Earlier, the organization had announced 8.65 percent interest rate for 2016-17, while it was 8.8 percent in 2015-16. It was believed that the interest rate would be fixed at 8.65 percent because the EPFO had sold ETFs worth Rs 2886 crore at the beginning of this month to maintain the current interest rate for this financial year. “The interest rate was fixed considering the surplus that EPF investments generated for the year. Though we were opposed to it, the proposal was accepted by the CBT,” Virjesh Upadhyay said. When the Employee Provident Fund launched for the different organization (Private & Government) employees, the reason behind is to unlock the better future for the employees in retirement phase by participating in this scheme with contributions made by the employee as well as the employer. The contributions by the member/employee are equal to 12% of her/his Basic Pay plus(+) Dearness Allowance (DA). In some cases where DA + Basic Pay plus is equal or less than INR 15000/- the contribution of the employee is 12% of DA + Basic Pay & on the other side, the contribution of the employer is 3.67% of the DA + Basic Pay. The current interest rate applicable to the contributions made by an employee as well as the employer is 8.65% (8.55%). Still, The final calculations of interest rate depending upon the employee’s salary and the breakup of the contribution of PF by the employer. To give you some deep details, before start telling you information let us give you some important points that every member has to know. In some cases, the employer will not pay the higher rate if the employee will pay a higher rate. The contributions are payable maximum wage ceiling of INR 15,000/- (both Employee & Employer). Wage ceiling of 15000/- is not applicable, for international workers. The joint request is compulsory from both Employer and Employee If you want to pay contributions on higher wages. Under EPS the contribution is paid by the employers share under PF. No contribution is payable by the employee. Normally, pension contributions are payable. If a member joining after completing 50 years of age, does not get the Pension Contribution that he/she will not able to complete the full 10 years of continuous service. The applicable time for social security cover will only be running till he/she is a member. If the member completed the age of 58 years and is in service. If the wages is above INR 15,000/- and not the existing EP/EPF member but joins after or on 01/09/2014. The Pension Contribution of 8.33% will be added to the Share of PF done by the Employer. In case, the pensioner re-joins as an employee and drawing Reduced Pension. Paying the contribution is possible even if the member/employee has completed the age of 58 years and pension contribution is not payable. Each contribution is to be rounded to the nearest rupee. How is EPF Contribution Divided? EPF Contributions made by an employee, which is deducted from employee’s salary. 12% of the basic salary of the employee. EPF Contributions made by the employer, which is also 12% of employee’s basic salary. What If Basic Salary & DA is More than 15,000? What If Basic Salary & DA is Equal or Less than 15,000? If employee’s basic salary and dearness allowance are equal or less than INR 15,000/-. Then employee’s as well as employer’s contribution will be distributed in the way shown in the table down below. To make this formula and the calculation easy to understand, we will take an example of SURESH who joined a new company in June month and will work for the monthly salary of INR 20,000/- (DA + Basic). Below is the table which illustrates the calculation method, monthly deductions and the applicable rate of interest. Download .PDF if this table is not showing properly in mobile devices, such as Smartphones & Tabs. ■ Interest will be rounded off to the nearest rupee. ■ In such cases where someone needs death claims, The interest will be restrained to the month transitive the month in which death occurred. ■ The Employer contributions will depend upon the salary due. i.e., The salary which you will get in September will be payable in October. So, the contribution made in the November month will be marked as a contribution against December but not in November.